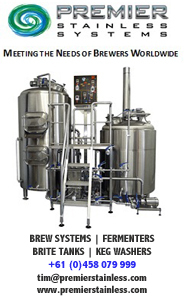 If you were to launch a brewing company as a bit of a fun side project, a few things that would make your start to life a lot simpler would be to have: (a) someone that knows how to brew, (b) somewhere you could sell your beer, and (c) someone with a bit of a knack for numbers who could keep an eye on the books. Good news, then, for the the Wanderer Brew Co, which happens to have all three bases covered. 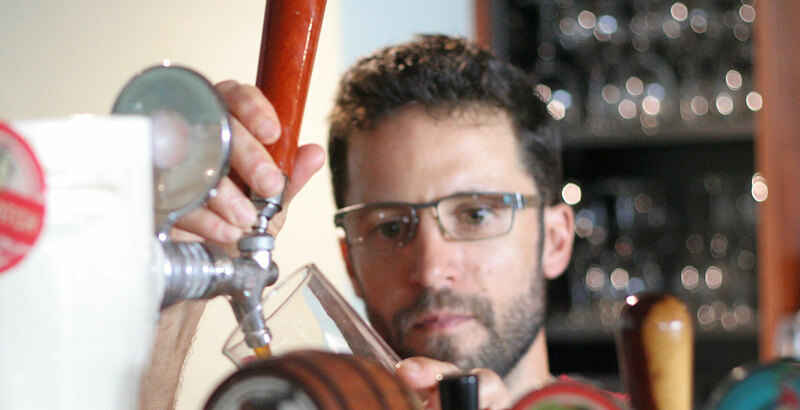 The new Sydney brewing company has been started by Sam Clayman, Matt O’Neill and Scott Reid. Sam is the brewer (and whose day job is head brewer at Red Tape Brewing in the King Street Brewhouse), Matt is a part owner of the not coincidentally named Surry Hills small bar The Wanderer (pictured at top), and Scott works in finance, does the odd spot of DJing, and is the middle link in the chain connecting Sam to Matt. An international menagerie of wayward gentlemen: Matt O’Neill (UK), Scott Reid (South Africa), and Sam Clayman (USA). Scotty is the common link. We play soccer together and he knows Matt via prior travels. We all met when Matt mentioned to Scott that he wanted to get a brand going to couple with the bar, and Scott knew that I’m a brewer. For Sam Clayman, Wanderer Brew Co is something of a creative side project to his day job as a head brewer. We’re currently gypsy brewing around Sydney’s friendly facilities. We love beer! We also love a challenge, the social aspects of the brewing and drinking communities, and are just really enjoying our work. The three core beers we’ve launched with are designed for having a pint or three. Our philosophy is for moderate alcohol and to be clean and balanced, whether that favours malt or hops. For seasonal brews, we’ll pull more outrageous flavours and ABV from the bag of tricks. Tristan Jones Atlantic Pale Ale: 4.1 percent ABV. 20 IBU. Straw coloured with bright citrus and tropical fruitiness of nose and palate. Brewed with all UK and US ingredients – for an Atlantic experience. Tom Crean Irish Red Ale: 4.4 percent ABV. 18 IBU. Deep ruby-red colour, malt forward with a rich complexity of caramel, mild roast and nutty notes. Crisp, mildly resinous bitterness from UK hops cleans the palate. Served on nitro for added smoothness, and a touch of Irish flair. Wylie Little IPA: 5.5 percent ABV. 30 IBU. Copper coloured, all-Aussie hops and all-Aussie malts. Beautifully soft tropical fruit and spicy aromas; firm, smooth bitterness; and lots of citrus, lychee and spicy flavour notes. All the hop character and malt backbone you’d expect of an IPA, just a little easier on the alcohol. All three of us had spent years of our youth on the road; maybe to nowhere, maybe to somewhere, but always enjoying the journey. So, adventurers and those who set out into the unknown with gusto immediately came to mind. Two desk jobs and a failed academic career are enough to push anyone towards beer, right? Beer wise, perhaps it was the move from our respective craft-and-flavour-rich beer cultures to the relatively paltry Aussie beer scene of five to ten years ago that really made us notice the gap in our beer-beings and planted the seed for a quest to do something about it? More fun than going home every year, anyway! Coopers Vintage 2014, Goose Island Sofie, Vale IPA, Homebrewed Russian Imperial Stout 2013, Lord Nelson Three Sheets, Kooinda Pale. Tecate. Not sure why, but cheap Mexican lager just hits the spot on a stinking hot day! The Grateful Dead. They toured the world for about a hundred years, making good music that people liked to hang out and enjoy… regardless of mind state! In a bricks-and-mortar establishment somewhere in Sydney, with a tidy little brewpub around it and lots of people hailing a toast on a Friday night. 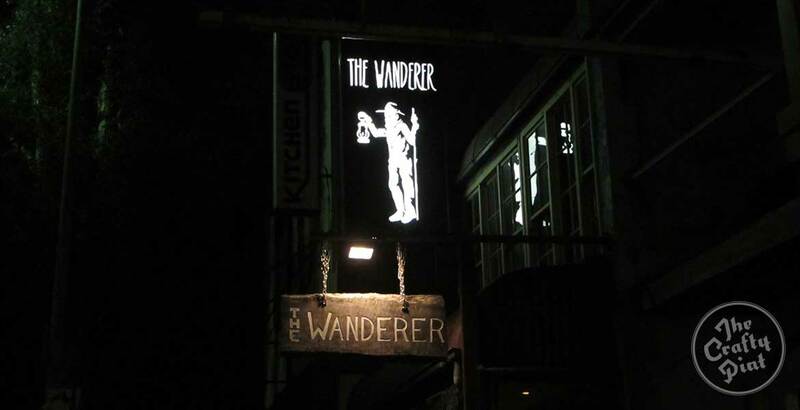 We’ve launched at our spiritual HQ, the Wanderer in Surry Hills, and will be getting our beers around to some of the good craft beer bars of Sydney very soon.